I think I've mentioned about Kindness Elves before? Last year my friend Jess over at Catch A Single Thought wrote about Kindness Elves, an Elf on the Shelf Alternative that had been created by Anna at The Imagination Tree. I thought it was a fantastic idea and knew that it was a tradition that would be fun to do for the children, but looking at the prices of elves (home made, shop-bought and other alternatives) we simply couldn't afford it last year. 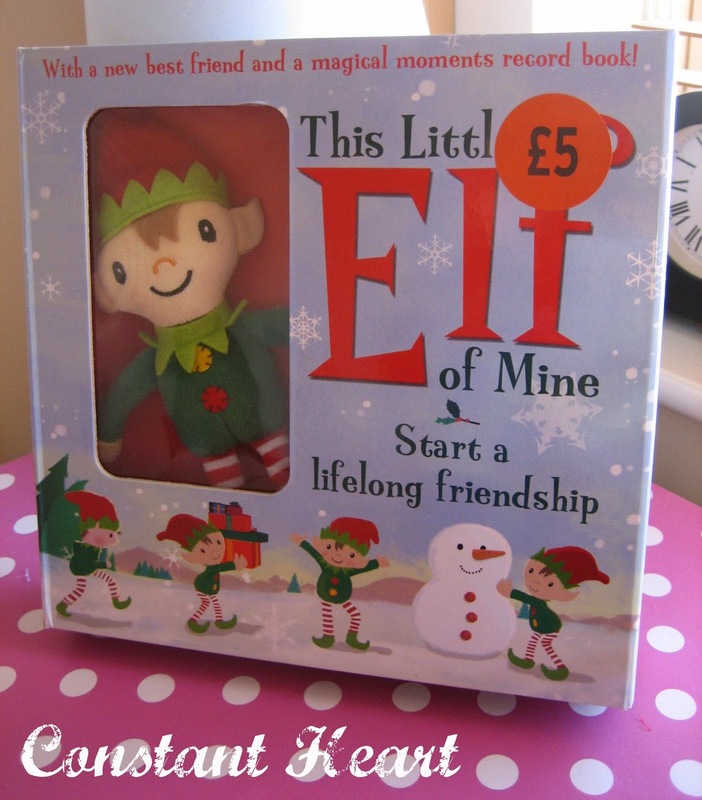 It was my intention to look for elves during the summer months when demand of elf products might be slightly less, but I have to confess I had completely forgotten about it until I'd spotted a little book with a fabric elf for sale in Sainsbury's for a mere £5! Result!! So I sent Mr Strong in tout-suite to get us a couple. The books with them were lovely despite only buying them for the elves so I am going to save those for next year as it's a little book to fill in all about your elf! After much deliberation, we decided we would call our Kindness Elves "Cedar" and "Spruce", something simple that toddlers could say easily but with a little thought behind it. They will arrive at some point in December (yet to be decided) along with a letter from Santa explaining they'll be staying with us until Christmas Eve. Obviously being Christians, there will be an element to it linking in that we are being kind to people and each other (nothing more complicated than that this year as they will be ages, 1, 2 and 3!) - that we are celebrating Jesus' birthday at Christmas, and being kind to others is something Jesus likes us to do. The letter is almost finished, and the tasks that they will leave for the children to do are decided on so they just need to be designed onto cards (I will provide printables once they are done if you fancy having a go yourselves!). One thing, knowing my children very well, is that they hoard things! My only thought was that it's all very well having these exciting elves but I need to be able to find them once the children are in bed to get ready for the morning!lol! Just a couple of little touches to complete yet, somewhere they'll have their initial on so we know which elf is which. 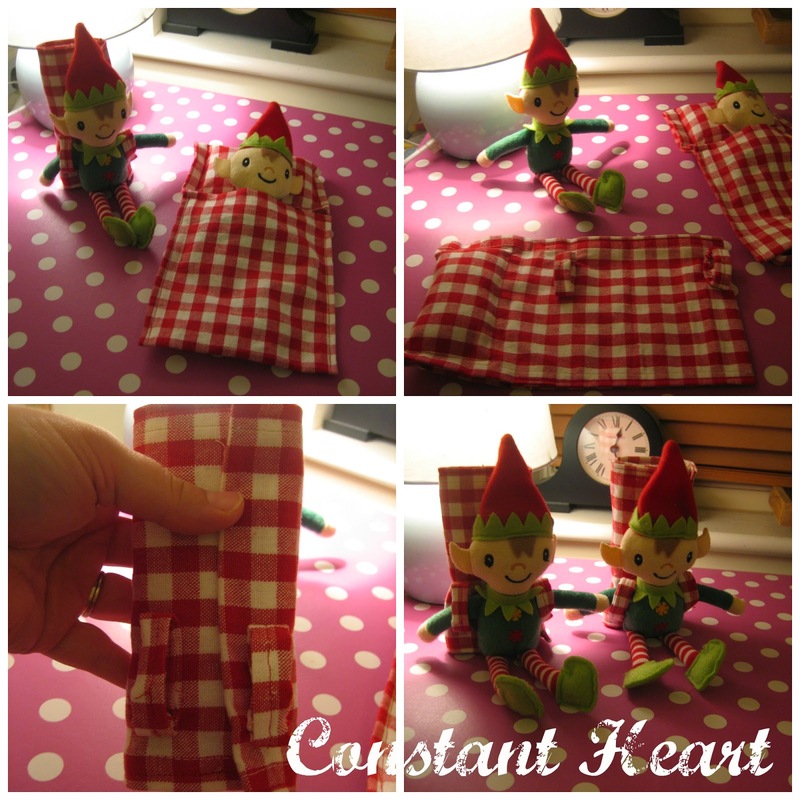 If you're not sure what activities to do with your elves, come and take a look at Kindness Elves Part 2!